In a game filled with physicality, whistles and fouls, USF men’s basketball (12-6, 2-4) fell to No. 21 Houston (18-1, 5-1) 69-60 in front of a season-high announced crowd of 5,563 at the Yuengling Center on Saturday night. The two teams combined for 62 fouls and 76 free-throw attempts. Both teams set new season-high foul totals — USF with 29 and Houston with 33. Due to the high number of whistles, neither team was able to find its offensive groove. “We play a physical brand of basketball, they play a very physical brand of basketball,” coach Brian Gregory said. “The one thing that [Houston] did, in the choppiness, they always were able to respond. We tie it up at 19, they go on a run — we cut it to four, they go on a run. A combined four players — two from each team — fouled out. 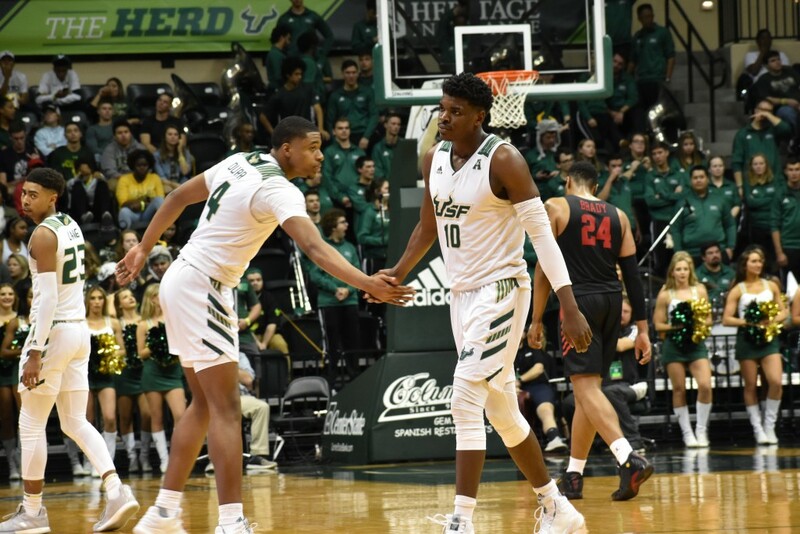 Alexis Yetna and Laquincy Rideau fouled out for USF, while Houston’s DeJon Jarreau and Corey Davis Jr. also saw their nights end earlier than expected. A total of five players between the two teams were one foul away from fouling out. If that number seems high, Gregory said it could have been even higher. “To be honest with you, there probably could have been 20 more fouls called in that game,” Gregory said. “Guys are bigger, stronger in college than they ever have been. They’ve talked about widening the lane — I don’t know if they’ll do that; they’ve talked about lifting the three-point line out to the international level; they’ve talked about shortening the shot clock. Would those make the flow better? It might. Sophomore David Collins led all scorers in the game with 23 points, going 6-of-9 from the field and 10-of-14 from the free-throw line. Collins’ effort marked the fifth game this season where he scored 20 or more points. Joining Collins in double figures was Yetna, who scored 12 points before fouling out with 2:16 remaining in the game. Due to the stop-and-go nature of the game, just six fast-break points were scored — two by Houston in the first half and four by USF in the second half. 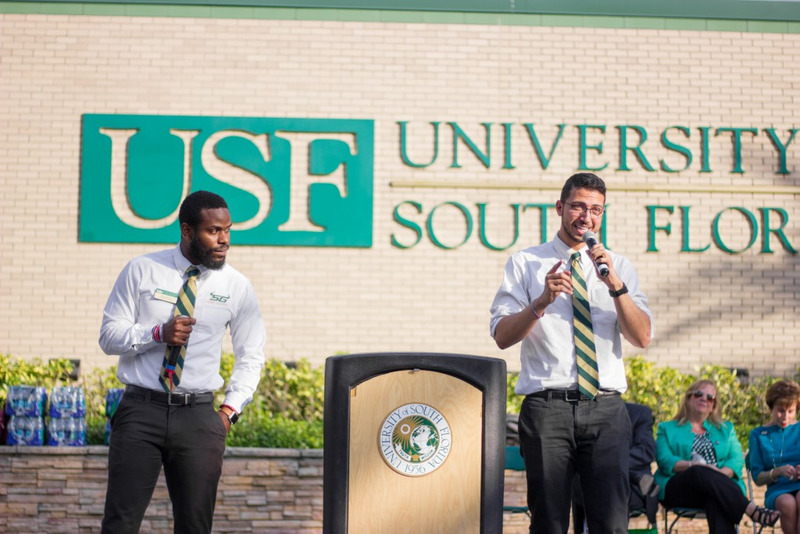 The loss extended USF’s losing streak to a season-high three games and the Bulls' winless streak against ranked opponents to 25. The last time the Bulls defeated a Top 25 opponent was Feb. 29, 2012 at then-No. 19 Louisville. USF remains at home for its next game, a Tuesday night matchup against second-year AAC opponent Wichita State. The Bulls and Shockers are set to tip off at 8 p.m. The game will be broadcast on CBS Sports Network.